Precision medicine based on tumor-only sequencing is more precise for people of European decent—and less precise for those whose ancestry is from Latin America, Africa and Asia, according to a study. Researchers from the Translational Genomics Research Institute (TGen), an affiliate of City of Hope, and the Keck School of Medicine of the University of Southern California (USC), led the study, titled “A method to reduce ancestry related germline false positives in tumor only somatic variant calling and published October 19 in BMC Medical Genomics. 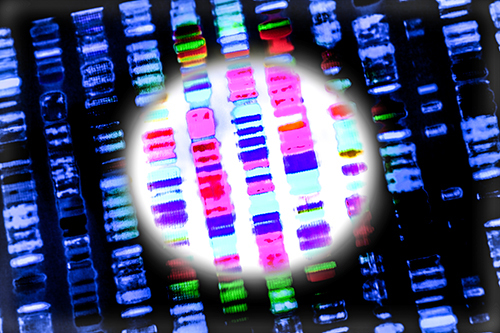 In the study, the researchers also discussed their development of an open-source genomic tool designed to help identify genetic variants that could cause cancer when normal tissue is not available or feasible to sequence. The tool is named LumosVar—derived from the incantation “Lumos Maxima,” which produced a blinding flash of light from the tip of the wand in the world of Harry Potter, starting in the film “Harry Potter and the Prisoner of Azkaban.” The researchers cautioned, however, that LumosVar is not precise enough to pinpoint which anti-cancer drugs to give individual patients. He and the other researchers cited the need to sequence more people from more diverse parts of the world. Most people worldwide who have undergone whole-genome sequencing are of European decent, biasing existing databases used to exclude false-positive variants. Yet European ancestry has the fewest genetic variants, especially individuals with roots in Scandinavia. Individuals with origins in less developed parts of the world have the most genetic variants, with individuals from Bangladesh having among the world's most diverse genomes. Another challenge the researchers cited is that many hospitals collect tumor tissue for research purposes without collecting normal tissue for comparison, especially in underdeveloped nations. To help sort out false positives, Dr. Halperin and David W. Craig, Ph.D., the study's senior author and Vice Chair of the Keck School of Medicine of USC's Department of Translational Genomics, co-created LumosVar. The Bayesian tumor only caller is designed to leverage differences in allelic frequency between somatic and germline variants in impure tumors. The researchers used simulated data to systematically examine how copy number alterations, tumor purity, and sequencing depth should affect the sensitivity of LumosVar, then evaluated the tool by using real data. The study produced what the research team called a surprising finding: Rapid population expansion over millennia in Africa, as in South America and Asia, turns out to have driven increased genetic diversity among individuals. Researchers assumed that because all modern humans across the globe can be genetically traced back to ancestors from Africa, those with African ancestry would be more genetically diverse, and those populations who spread elsewhere across the globe would, as descendants of more recent common ancestors, became less genetically diverse. The study was funded by The Ben & Catherine Ivy Foundation and by the Multiple Myeloma Research Foundation.